Excellent quality. Excellent value. Excellent service. What more could you want. Top quality clothes at affordable prices. First rate delivery service. Well done. This was excellent quality and at sale price so even better value, had to exchange for smaller size, no problem, they collected free of charge! Just have said great coat at a great price. Is this a full length overcoat? What is the length from collar to hem? The centre back length of the Bond Overcoat is approximately 108 cm. 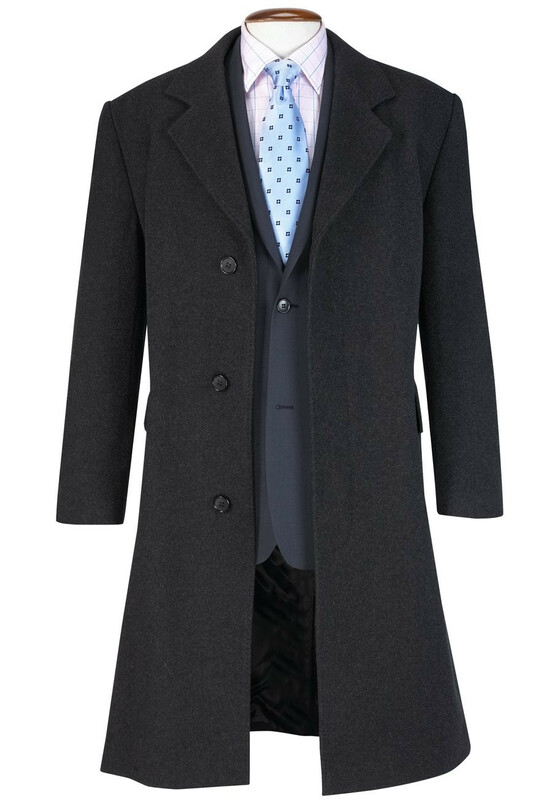 As this is an overcoat, do I assume that I order my suit coat size and that this item is tailored to fit over my suit, or do I have to make that adjustment myself when ordering? When ordering overcoats we recommend that you order your usual size, as they are oversized accordingly to be worn over other garments. The material composition of the Bond overcoat is: 60% wool, 20% cashmere & 20% polyamide. I take a tall size with all my shirts, and suits. Would there be a tall available? We do not have a 'tall' range of shirts, but you can follow this link to see details of the shirts we have available with a longer sleeve length : https://www.brooktaverner.co.uk/formal-shirts/36-5-sleeve.html.